Would you be interested in watching fossils of plants and animals long gone in stereoscopic 3D format? 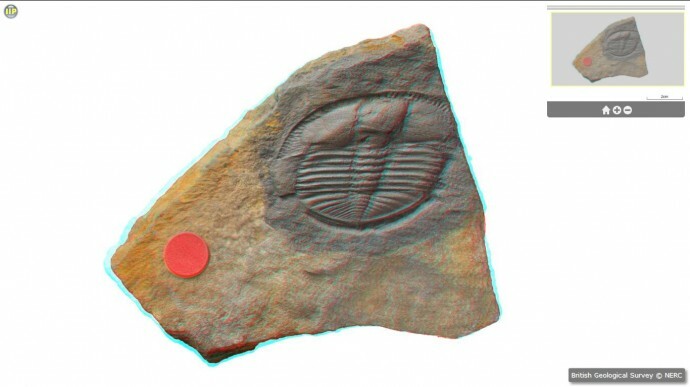 Probably not the most fun thing for most you, however for the ones interested the GB3D Type Fossils online project by the British Geological Survey might be of interest as it offers a large selection of detailed photos of fossils in 2D as well as anaglyph 3D photos. Not all, but in most cases, fossil specimens have been photographed as stereo pairs, using a see-saw apparatus dipping 4° from the horizontal on either side and the images have been combined into red/cyan anaglyphs that can be viewed through a simple red/cyan 3D glasses. It would’ve been good if the stereo 3D images were also made available in Side by Side format as this way they could be watched not only in anaglyph 3D format, but on a wider array of 3D-capable hardware, especially considering they are available in pretty high resolution and provide good effect of volume. Anyway still a good educational/scientific resource for those interested in fossils and the availability of stereoscopic 3D images although only in anaglyph 3D format is still a plus.